NBC Connecticut and Telemundo Connecticut are proud to be partnering again for the 41st annual Sailfest celebration in New London from July 13-15. 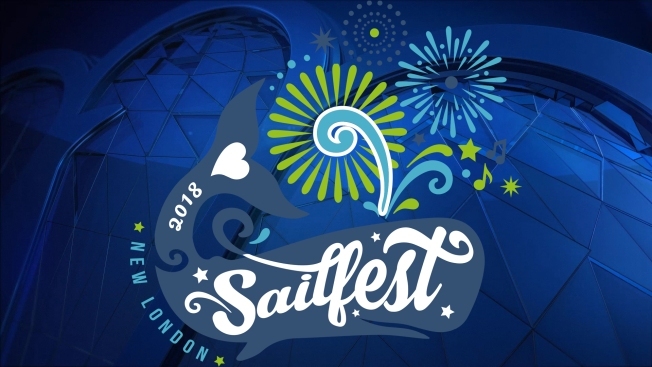 Sailfest is Southeastern Connecticut’s premier summertime event, attracting hundreds of thousands of people. There is plenty of free fun for the entire family, including tall ships, vendors, endless food options, amusement rides and free entertainment. Saturday’s festivities cap off with a spectacular fireworks display. The Mystic Whaler and Spirit of the Sound vessels will be available for day sails during Sailfest weekend. NBC Connecticut anchors and reporters will be handing out swag on Saturday from 12 p.m. to 6 p.m. at the whale tale plaza off State Street near Bank Street. The popular fireworks will take place on Saturday, July 14 at 9 p.m.
For three consecutive years, Sailfest has come in first place in The Day Readers’ Choice for best Festival/Fair. There will be plenty for every one of all ages and all throughout the state to come see, buy and eat all throughout New London’s waterfront park and nearby streets. For the full event schedule, including details on a Pirate Invasion, Picnic on the Pier and a 5K Road Race, click here. NBC Connecticut and Telemundo Connecticut are the official television partners of Sailfest.